Kansas’ wine industry is ripe on the vine. In fact, Julie Berggren of KC Wine Co. says Kansas has the potential to produce wines that are just as high quality as those that come from California’s Napa Valley. Berggren operates KC Wine Co. in Olathe with her husband, Kirk, and their children. The boutique winery opened in 2015 after the family bought a new farm that had 7 acres of grapes growing on it plus a 4-acre pond. 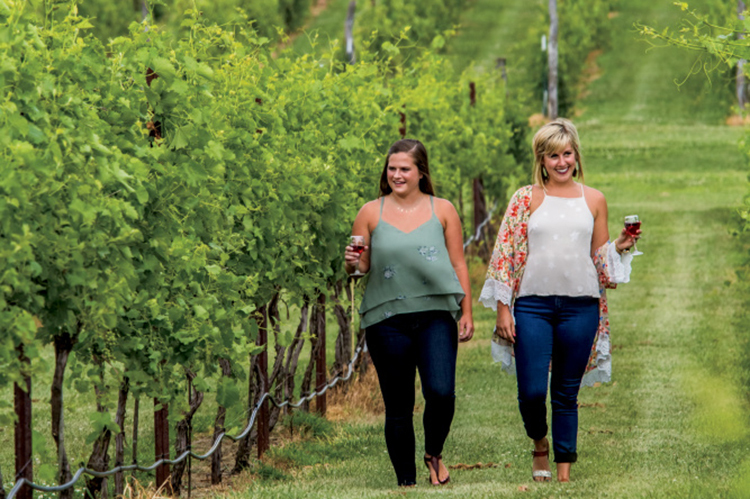 The family had been growing pumpkins for more than a dozen years at KC Pumpkin Patch, and originally planned to rip out the grapes to make room for more pumpkins, but Berggren’s daughter suggested opening a winery instead. She adds that with the way the farm is divided by the pond, with the vineyard on one side and the wouldn’t have been viable for traditional row crops. However, growing specialty crops has proven successful. KC Wine Co. grows seven different grape varietals, including Norton, Riesling and chambourcin, among others. They also have blackberries and blueberries that they plan to use for a dessert wine. Berggren says their most popular is a red blend of mostly chambourcin grapes called Sunflower Red. “To celebrate, we had a sunflower festival in September. We planted an acre of sunflowers for the occasion,” she says. Agritourism has been an important aspect for the family farm, both with the winery and pumpkin patch. She adds that Kansas wines are successful in part because of consumers’ love of local. “It’s exciting to be part of a community that openly embraces us, and the economics of this industry is really what’s causing people to plant grapes,” she says. 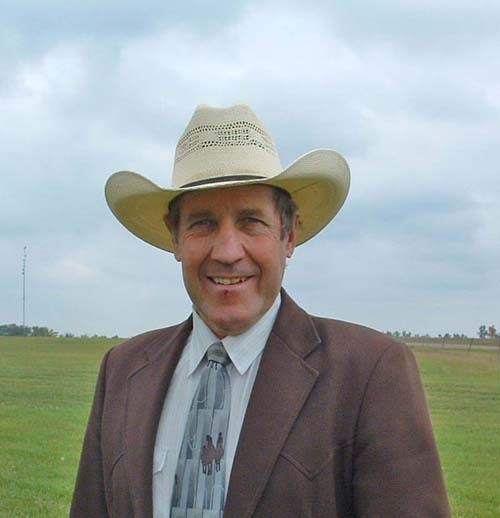 Scott Kohl of Highland Community College in Highland is helping those who want to be a part of the industry, as well as those already active. Kohl is director of the college’s viticulture and enology program, which began in 2010. “The idea for the program goes back a couple of years before then when some winery owners came to the college and said, ‘No one is teaching this stuff. If we want to be a growing industry, someone needs to be teaching it,’ ” Kohl says. They began offering a few night classes in spring 2008 and ended up with 12 students who were willing to drive two hours each way for the classes. “We figured maybe there’s some demand for this,” Kohl says. Fast-forward a few years and Highland partnered with the Viticulture and Enology Science Technology Alliance to develop degrees – although non-degree-seeking students are also welcome – and create classes, as well as offer some online classes. So far, the college has had about 117 students in the program, and the majority are people who are looking to start something new later in life. The school also has four vineyards around northeast Kansas: three of them growing production grapes and one serving as a research vineyard. The research vineyard is extremely helpful to Kansas’ industry of established winemakers that may look at trying a new variety. Highland also offers lots of workshops for anyone who is interested, not just students.